Laravel is a free open-source PHP framework intended for the development of web applications; currently it is one of the most favorite frameworks. It is widely liked for the jobs of development because of the fact that the techniques applied for authentication and control access to resources are very simple. Almost everything can be configured extraordinarily. 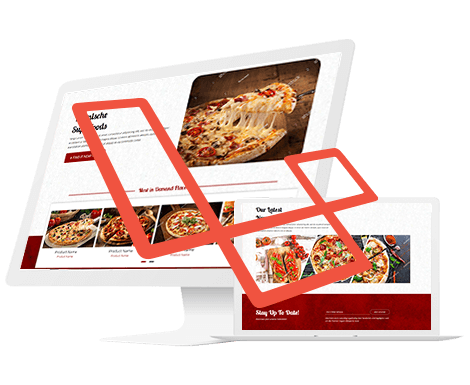 Laravel aims at the development process to be a pleasing experience for the developer without sacrificing application functionality. Although Laravel Framework is only three years old, it has proved itself as better than and superior to other PHP frameworks. Laravel PHP Framework is built with a code syntax which is simple and expressive. It provides the advantage of a developer friendly environment for web application and maintainable code. Laravel maintains Object Oriented libraries and many other pre-installed ones which are not available in any other popular PHP framework. It has many advanced features such as checking active users, password reset, Bcrypt hashing, Cross-site Request Forgery (CSRF) protection and encryption. It offers Artisan which is a build in tool. This tool allows the user to perform repetitive and tedious programming tasks. Common uses of Artisan include managing database migrations and seeding, and publishing package assets. The functionality and capabilities of Artisan can also be expanded by implementing new custom commands. Laravel supports MVC Architecture thus allowing better documentation and multiple built-in functionalities. In addition to that Laravel takes care of the security within its framework by using salted and hashed password. It uses prepared SQL statements which make injection attacks unimaginable. By using a PHP Framework, loads of time is saved. It stops the need to produce repetitive code enables the developer to build applications rapidly. Cashier provides an interface for managing subscription billing services such as handling coupons and generating invoices. Scheduler allows scheduling of periodically executed tasks. Flysystem is a file system that allows local file systems and storage services. SSH allows execution of command-line interface (CLI) commands on remote servers. Socialite is an optional package that provides simplified mechanisms for authentication with different providers including Facebook, Twitter and Google etc. Laravel Sparkis a paid set of additional features bundled into a package. The package was developed as additional tools for online businesses to integrate with other services. Model-View-Controller or MVC is a software architecture or design pattern with basic idea that the logic of an application should be separated from its presentation. Composer is a tool that allows to declare the libraries of the project and it manages (install/update) them as well. It helps installing/updating various requirements/components for an application (app) such as Laravel Framework etc. Laravel Migrations offers files which contain a class definition with both an up () and a down () method. Middleware is a bridge between a request and a response. It is a type of filtering mechanism. Artisan provides a number of helpful commands being used while developing an application. Use of MVC structure for the coding purpose. Best coding standards and the practices. Make ready to use Plugins or Add-ons. Regular reporting facility on daily, weekly, monthly, quarterly or yearly basis depending on needs and demands. We write code with “code standards” and use SVN / GIT in our projects. We are as conversant in English and Duetch (German) as we are comfortable in Linux /Unix and Windows environment. We deliver fast, efficient and quality tested work always as promised/agreed. Last but not least, it is to be mentioned that we carry out all this at far lower prices than the market. Contact us for best of the services in Laravel Framework.